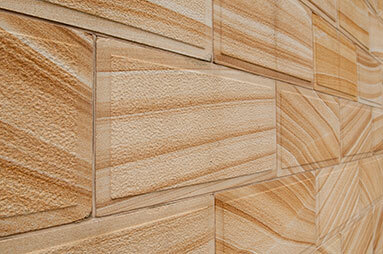 Mining sandstone that has been in place for millions of years can be difficult and challenging work, but we thrive on the opportunity to unearth some of the most magestic and amazing patterns and designs that Mother Nature has ever produced. 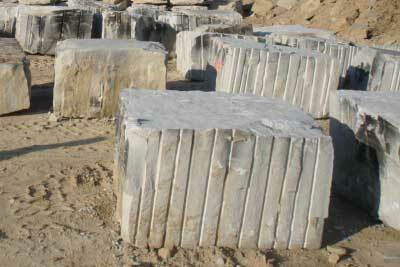 Each and every sandstone block that is mined from our quarry is carefully inspected for quality purposes. Our sandstone block have continually lived up to some of the most stringent quality specifications, such as the specific requirements of the petroleum industry for core flooding experiments. Our sandstone slabs typicallcome in sizes of four to six feet wide and four to six feet long. Longer sizes are available for special orders. Thicknesses range from two to twelve inches. Custom requests will always be considered. Traditional tan-colored stone commonly used in landscaping. Ideal for walls, patios, walkways, and flower beds. This type of stone is also used as cap stones for stone pillars and walls. This stone is more dense, making it ideal for architectural use. It is often used in doorways to courthouses and libraries. It is a favorite for use in sculptures or carvings on buildings. It is also used for our lakefront creations. Colorful earth tones in intricate patterns that could only be created by Mother Nature. Each and every piece is different, and this particular variety of stone is unique to Kipton Quarry. Our premium sandstone from the berea formation has been used to create sandstone tables that are truly unique and a beautiful addition to any outdoor living space. Our premium sandstone coping has been used for pools and gardens! 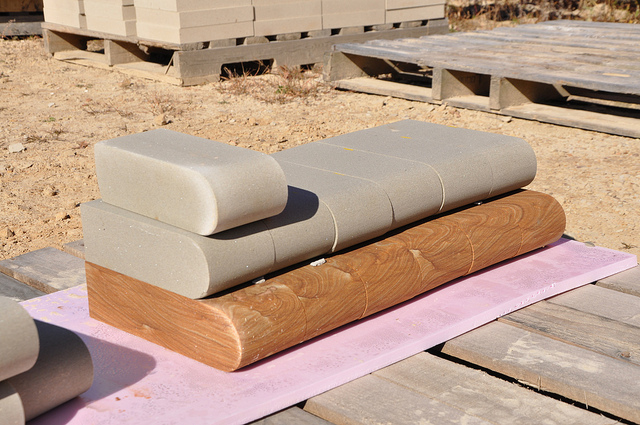 We are able to produce this coping from our buff, grey, or variegated sandstone varieties.